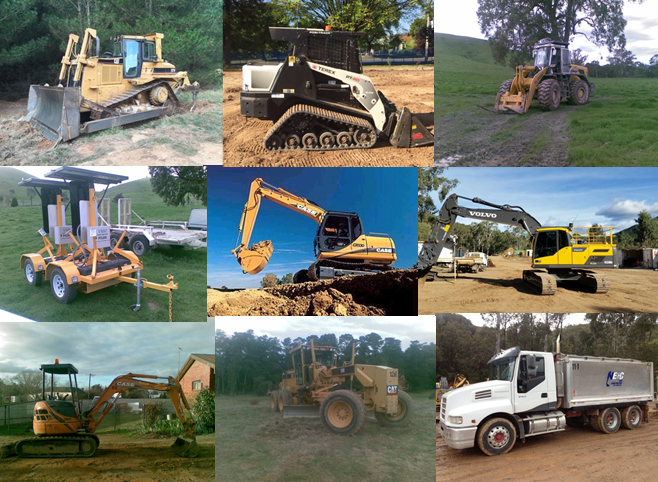 North East Civil Construction has an extensive range of plant and equipment that are appropriate for any job or condition. All our Plant and Equipment is operated by competent and ticketed operators who have had wide spread experience in operating in a variety of conditions and work environments. NECC employs full time diesel fitters to ensure that all plant, equipment and vehicles are routinely maintained and serviced. This additionally ensures that all plant and equipment meets manufactures specifications and Australian Occupational Legislation. NECC are also able to supply temporary fencing, water barriers, bollards, multi message signs and traffic lights to meet your site deliniation and traffic control needs. In addition NECC makes regular use of outsourced plant that assists with completion of projects.